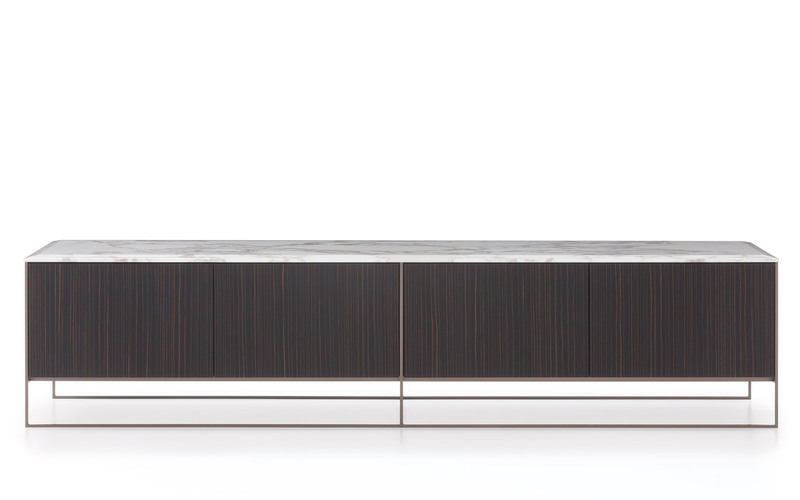 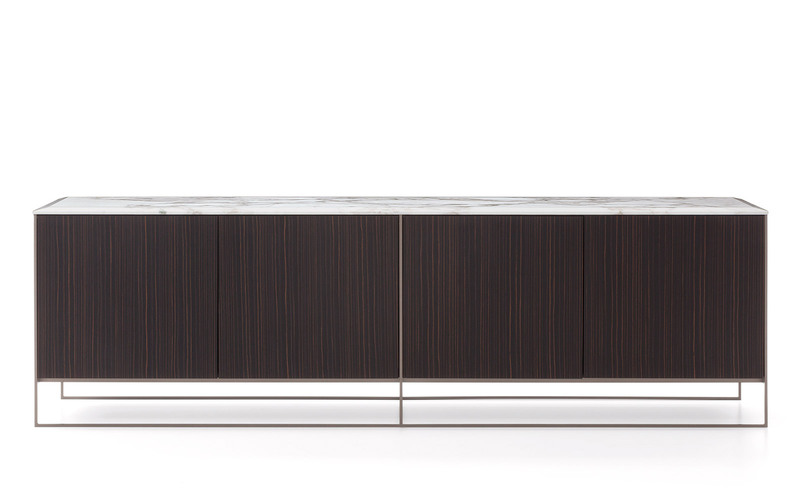 The series of Calder “Bronze” consoles, featuring pure, uncluttered lines, expands to include a family of credenzas. 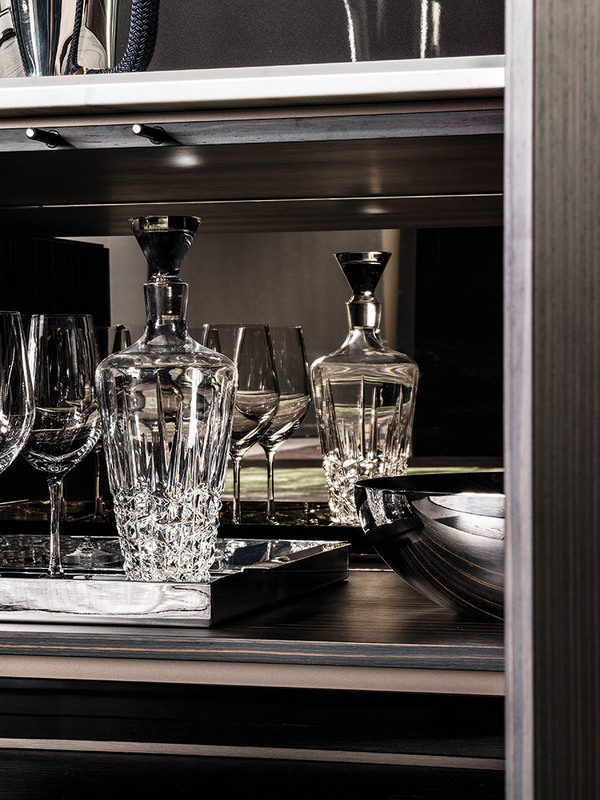 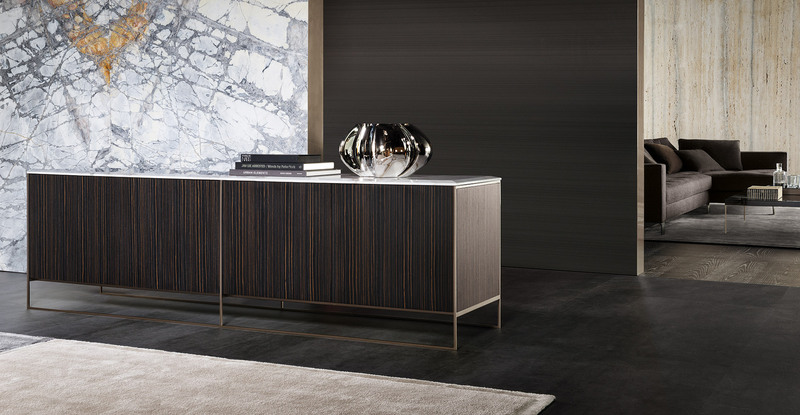 The choice of elegant, luxurious materials contrasts the studied simplicity of the design. 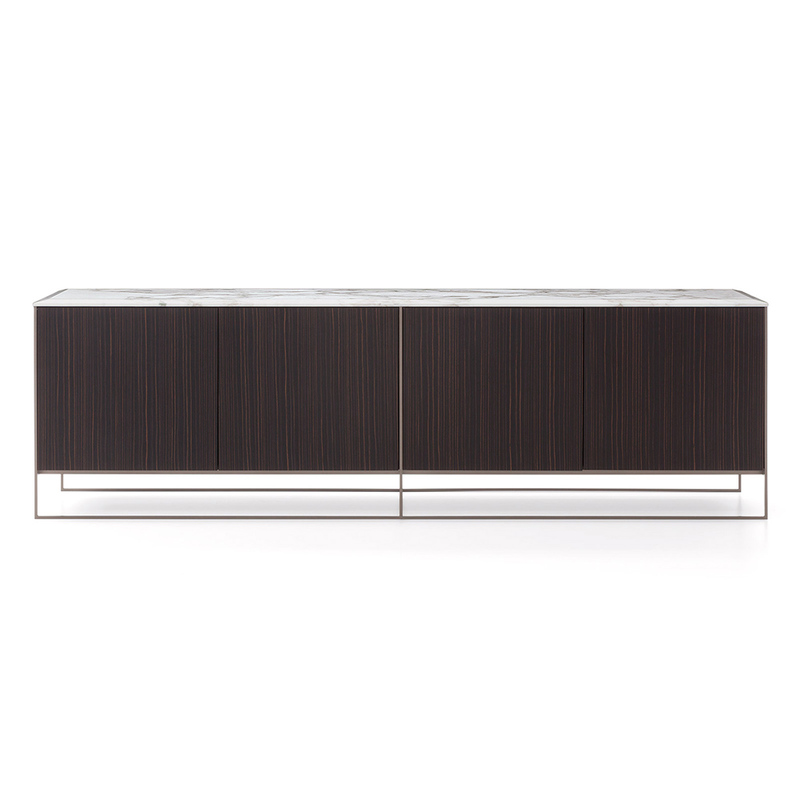 The structure is in satin-finish metal with Light Bronze finish. 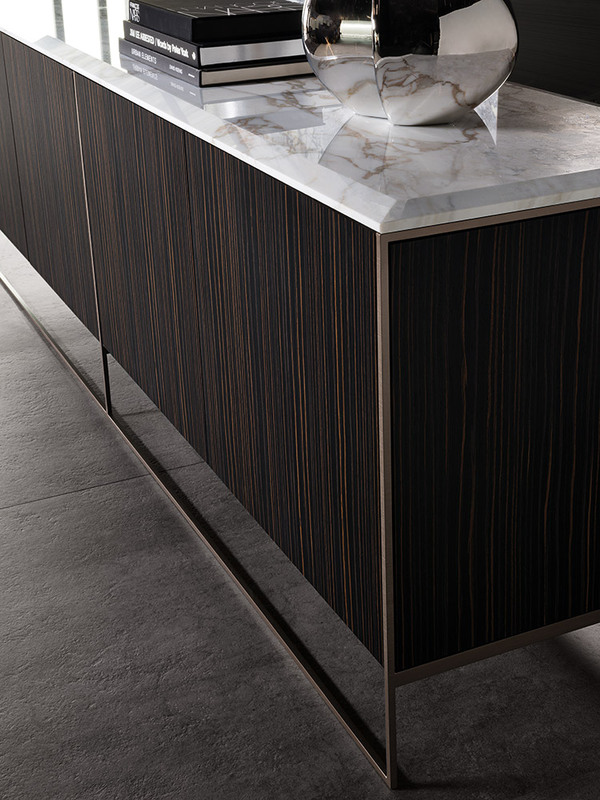 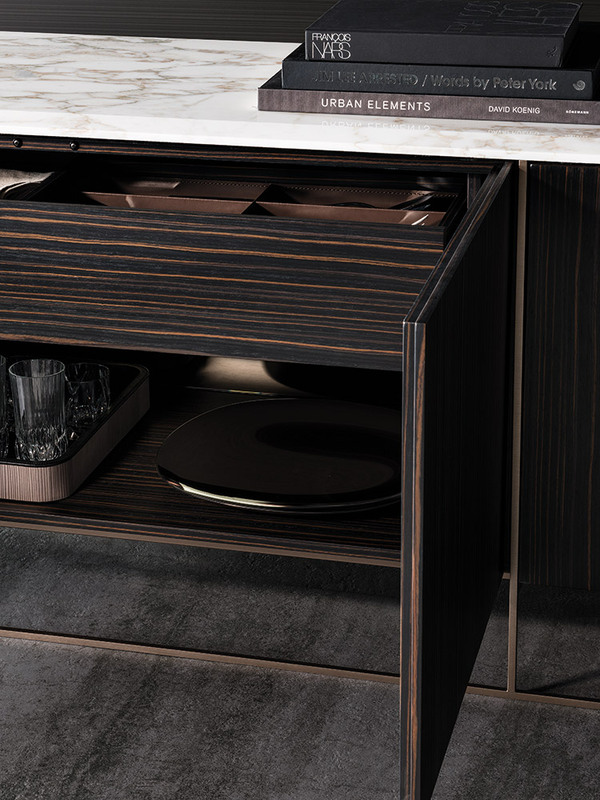 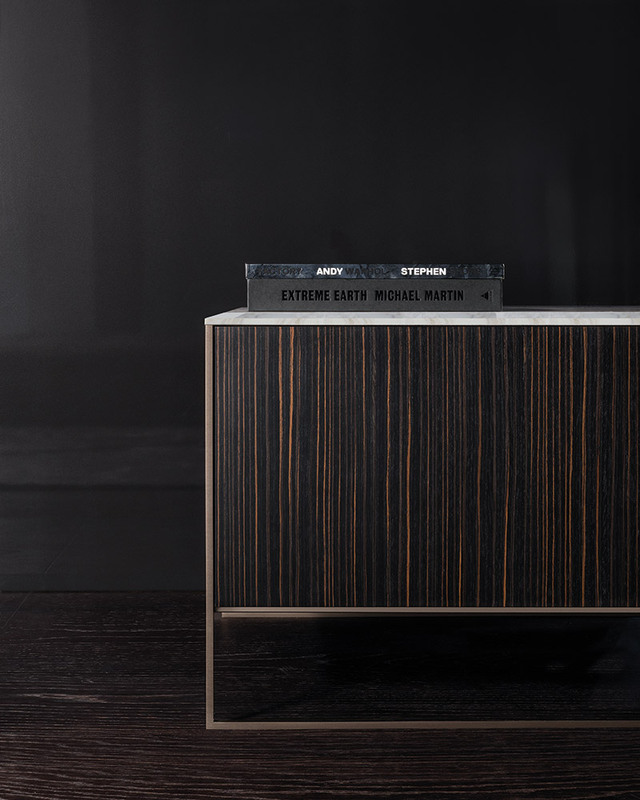 The sides and doors are available in ebony veneer with open-pore opaque lacquer finish or Mink stained sucupira veneer, while the beveled top is in Calacatta marble.